Music and dance is a big part of our culture. 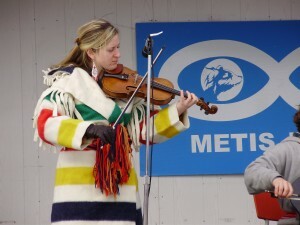 Fiddle playing and jigging are the mainstay of Métis and Cree culture. 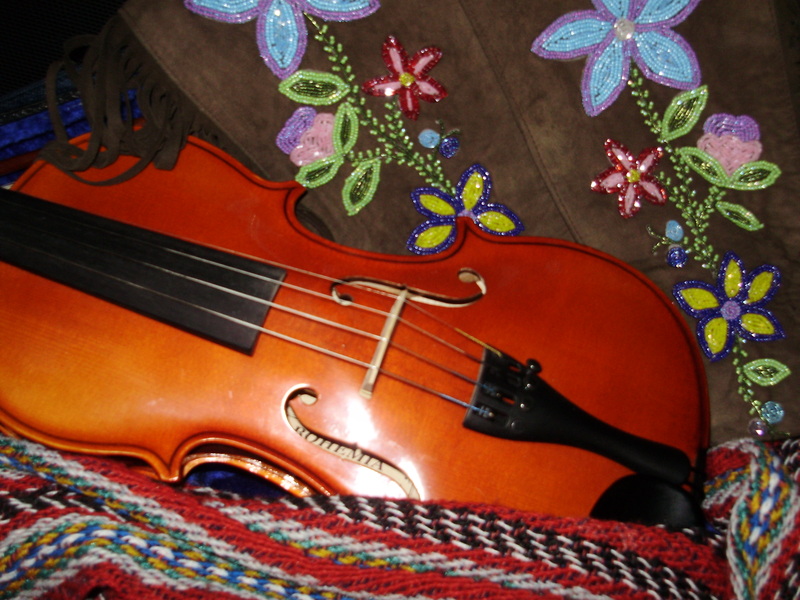 In this workshop, I talk about the evolution of the music and how the early fur traders brought the fiddle to North America. The Cree people, especially around Hudson Bay and James Bay, adopted the instrument and created their own style of playing and dance. In the west, the Red River jig is the most popular dance. Modern competitions are held every year in the western provinces and today it is gaining popularity in Ontario. I demonstrate the dance, use film clips and talk about its origins, and teach the basic jig step to the students. (Grades 5 and up) I start by showing video footage of the Métis Dance Competitions held annually at Batoche, Saskatchewan. There are many young people involved in the dance competition so it is good to show this to the students beforehand. I did this presentation for the Toronto District School Board Aboriginal Education Centre event for Louis Riel Day. I had 25 teenage boys up dancing! Pow wow and round dance are other dance elements that I often introduce into the workshops for younger ages. For grades K – 4, I usually mix a bit of all these elements alternately with storytelling, drumming, spoons, and singing. It’s a good way to incorporate movement into the workshop. 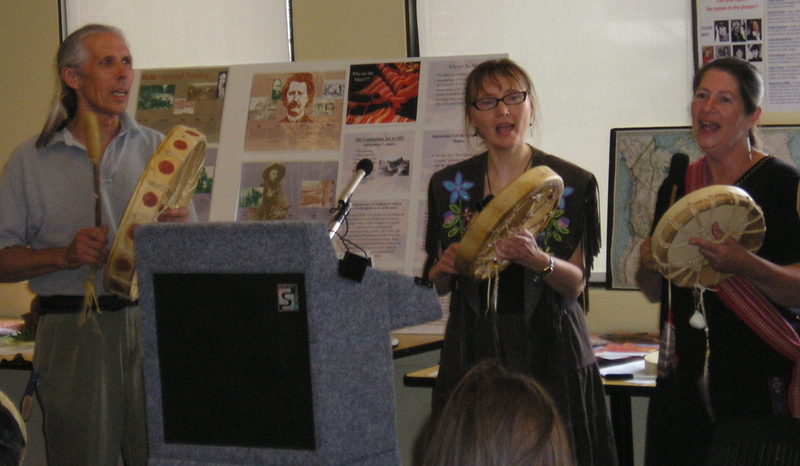 I also teach simple Cree stories and songs using basic Cree language and expressions. Many of these stories teach respect for nature and animals and the importance of taking care of our environment and also the importance of respecting your parents. I co-wrote a song with a Cree storyteller from the west, about the joys and appreciation of life. The kids join in on the chorus: “Wachay, waniska, nanaskomoe” meaning “greetings, wakeup! Give thanks!” Let the day begin!